When you’re looking to buy a new vlogging camera you’ll quickly realize just how many options there are. You can spend hours researching and comparing different cameras but you only want to know one thing: what vlogging camera is the best for my budget? To help you answer that question quickly and save you some time, we created this guide for finding the best vlogging camera. Wether you’re already a vlogger but looking to upgrade to a better vlogging camera or you’re just about to start your own vlog and want to buy a good vlogging camera to start with. This guide will explain what makes a camera good for vlogging and highlight the best vlogging cameras in different price ranges so you can find the right vlogging camera for your budget. Our guide features the best vlogging cameras of 2018 and will be continually updated. So without further delay, let’s jump right into it. The most important aspect of a vlogging camera is image quality. One of the biggest indicators of image quality is the video resolution. In 2018 there are three commonly used video resolutions: 720p (HD ready), 1080p (Full HD) and 4K (Ultra HD). We recommend you look for a camera that records in at least 1080p or ‘Full HD’. Anything below that is below the average quality of youtube vlogs and can hinder the growth of your channel. We have listed two 720p vlogging cameras in this guide for people on a tight budget. If you are on a bigger budget and want the best vlogging camera. Go ahead and pick a camera that shoots in 4K or ‘Ultra HD’. Vlogging cameras need to be lightweight and portable so you can easily carry your camera with you wherever you go. Heavy/bulky cameras will be a hassle to carry around all day and it’s hard to get footage for your vlogs when you don’t have your camera with you. The vlogging cameras recommended in our guide are relatively light so you can carry them around all day and you will not get sore while vlogging for extended periods of time. For vlogs where the camera can be set on a tripod or does not need to be carried around we have also picked some good DSLR vlogging cameras. It is very common to vlog while walking or doing other activities that involve a lot of movement. Although Youtube and video editing software can help stabilize footage a lot, it will not come close to the quality of a vlogging camera with built-in Optical Image Stabilization. This feature helps prevent shaky video footage and improve the quality of your vlogs. Your viewers will not stick around for your entire vlog if they cannot hear a word you’re saying. That’s why it’s important to pay attention to the microphone of a camera before making the purchase. Every camera has a built-in microphone with decent quality but may pick up unwanted background noise (wind noise, traffic etc.). The position of the microphone is also important, having the microphone on the front of the camera is superior for vlogging. Most DSLR and mirrorless vlogging camera have a microphone jack. This allows you to use an external microphone for better sound in your vlogs. Vloggers quickly switch between filming themselves and their surroundings. When you point your camera to a different subject it needs to quickly focus so your viewers can see the subject. Having to wait for your camera to focus or finding out later that the footage you just shot is out of focus can be extremely frustrating. All cameras in this guide have fast and accurate autofocus which makes them ideal for vlogging. Of course the best vlogging camera is the camera that is best suited for YOUR needs. If you record in low-light conditions you will need to look for vlogging cameras that handle that well. If you vlog while on the move and capturing adventures an action cam is better suited for you. Maybe you need to have perfect audio so you need a vlogging camera with connectivity for external microphones. Think about the type of vlogs you want to make and select the vlogging camera that best fits your needs. A flip screen is often seen as a must-have by most vloggers, most of the cameras in this guide have a flip screen but not every single one. We have a separate article for flip-screen cameras if it’s a must for you. 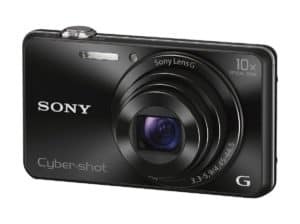 The Sony W800 is the perfect vlogging camera for the person that wants a cheap camera to test the waters and explore the wonderful world of vlogging. 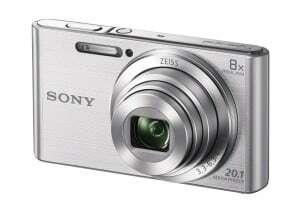 The Sony W800 is a lightweight vlog camera that shoots in 720p and comes with SteadyShot Image Stabilization. The camera is easy to charge with USB charging and one of the best-selling cameras in its price range on Amazon. For good reason! If you don’t have the budget for a Full HD 1080p camera, this is a great alternative. 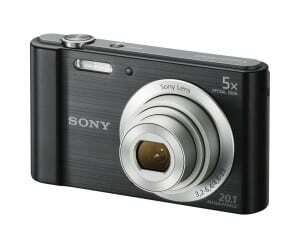 The Sony DSCW830 is a 20.1 Megapixel camera with 8x Zoom and shoots 720p HD footage in MP4 format for easy editing. The optical SteadyShot stabilization with 2-way active mode gives you the freedom to vlog while walking or even running. The intelligent auto mode automatically adjusts to the lighting conditions. The face detection technology helps with the focus, exposure and white balance. So you can just start vlogging while the camera does all the hard work for you. If you do not want to spent too much money but still want to record in Full HD 1080p (highly recommended). This category will provide you with our vlogging camera recommendations that offer the most bang for your buck. 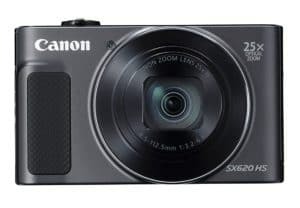 The Canon PowerShot SX620 is our #1 recommendation if you are looking for a cheap vlogging camera that is capable of recording in 1080p (Full HD). This camera features a 20.2 megapixel CMOS sensor and records 1080p Full HD video at 30 frames per second. It also records in a convenient MP4 format which is easier to export, edit and upload. Very important for vloggers that want to be able to easily edit and upload new vlogs to YouTube. The SX620 has four different optical image stabilization modes that correct for hand movement, unwanted camera shake and motion blur. The intelligent will also automatically analyze camera movement and apply the best correction method. You can focus on recording, the camera does the rest. On the back is a 3-inch high-resolution (922k dots) LCD screen so you can easily review your vlog footage. Unfortunately, it is a fixed position LCD screen that does not flip to the front. The camera is shipped with a wrist strap, battery pack and battery charger. The only thing you’ll need to add to your shopping cart before you can start is an SD card. We recommend the SanDisk Ultra Class 10 (32GB). It is available in storage capacities from 16GB up to 128GB if you need more (or less) storage space. Compared to the Sony WX220 featured below, this camera has a much better LCD screen resolution, 25% better battery life and better optical zoom (25x zoom vs. 10x zoom). It does however lack the ability to shoot Full HD video at 60 frames per second, which the WX220 does have. The Sony DSCWX220 is the second recommended Full HD (1080p) affordable vlogging camera in our buyers guide. This camera has a 18.2 megapixel sensor which performs very well in low light conditions and uses the BIONZ X engine for superb detail and noise reduction. Not only is this camera able to record in 1080p but can also do so in 60 frames per second for even smoother footage. The camera has 10x optical zoom and image stabilization to stabilize shaky footage and prevent motion blur. Compared to the Canon SX620 featured above this camera has better low-light performance, a slightly faster lens, it weighs 70 grams less and is slightly cheaper. This camera also shoots in 60 frames per second and it’s slightly smaller. Most of these differences are very minor and almost unnoticeable. Being able to shoot in 60 frames per second and better low-light performance are the major advantages over the SX620 featured above. Want to produce high quality vlogs on a budget? This category features the best value vlogging cameras for beginners. 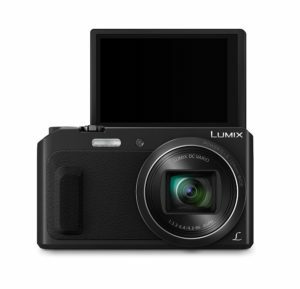 The Panasonic DMC-ZS45 is one of the cheapest Full HD 1080p flip screen vlogging cameras currently available. Many vloggers prefer a flip screen camera because you can easily see if you are fully in frame while you’re vlogging. If you’re not, you can quickly correct it instead of finding out later when you start editing. This camera has a 16 megapixel sensor resolution, records in 1080p (30 frames per second) and has power optical image stabilization. This optical image stabilization will correct a lot of shakiness in your recorded footage. The camera lens is very versatile and can adapt to any situation that vloggers might face. The wide-angle lens makes it look like you’re further from the camera when you are recording at an arm’s length instead of being too close to your face. This camera also has 20x optical zoom so you can zoom in very far if needed to capture things at a distance. This might be the best camera for vlogging beginners because of its flip screen and excellent quality at an affordable price-point. 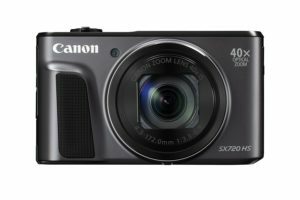 The second vlogging camera in our beginners category is the Canon PowerShot SX720 HS. The Canon SX720 HS features a 20.3 megapixel High-Sensitivity CMOS sensor and captures high quality video with improved low-light performance. This camera offers great image quality combined with stereo audio recording for improved audio. The intelligent image stabilization of this camera stabilizes footage by analyzing camera movement and applying the best shake correction method for the current shooting situation. You can focus on recording and let the camera take care of the rest. The amazing 40x optical zoom easily lets you reach objects at any distance. All of these features allow you to capture breathtaking Full HD 1080p video in 60, 30 and 24 frames per second packed into a slim design that is perfect for vlogging. These cameras are for those getting serious about vlogging and want to be able to produce high quality vlogs. Creating high quality videos will help your channel grow faster and these cameras are the perfect match for that. Here are the vlogging cameras we recommend for you. 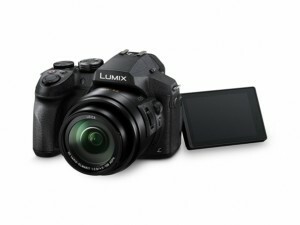 Our first recommendation in this category is the Panasonic ZS70. The ZS70 is a newly released (april, 2017) compact camera that blows every other compact camera in this price range out of the water. The ZS70 features a 20.3 megapixel MOS sensor plus 30x Leica DC VARIO-ELMAR Lens (24mm-720mm) with a 5-axis hybrid optical image stabilizer. This camera records in 4K Ultra HD in 30 frames per second or Full HD 1080p at 60 frames per second. This makes the ZS70 the most affordable 4K vlogging camera by far! The ZS70 has a 3-inch LCD screen that is touch feature-enabled and can be flipped up 180 degrees so it faces the front of the camera which makes vlogging much easier. The camera is shipped with a battery pack, AC adaptor, USB cable and hand strap and is available in black and gray. 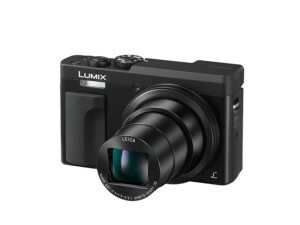 Our second recommendation in this category is the Panasonic FZ300K. If you’d rather have a DSLR vlogging camera with an interchangeable lens and external microphone capabilities then the FZ300K is the best option in this price range. The FZ300K features a 12.1 megapixel high sensitivity MOS sensor with superb performance in low-light conditions which lets you shoot 4K Ultra HD video at 30 frames per second. You can also shoot in Full HD 1080p at 60 frames per second or 120 frames per second for slow-motion video recording. Panasonic’s well-known high-speed autofocus technology ensures your video subject is always sharp, while smart, 5-axis optical image stabilization reduces motion blur and unwanted camera shake. Unfortunately, the 5-axis O.I.S. does not work in 4K Ultra HD but only works up to Full HD 1080p. The camera body is splash-proof and dust-proof so you can bring it in the most challenging shooting conditions. The camera body also features a 3-inch high-resolution (1040k-dot) flip screen and an external microphone port for improved sound quality. The cameras in this category are used by a lot of popular vloggers on YouTube and have proven themselves to be perfect for many YouTubers. Here are our vlogging camera recommendations with great image and sound quality. The Canon PowerShot G7 X is an incredibly popular vlogging camera among YouTubers. This compact and lightweight camera with flip screen shoots very high-quality video in Full HD 1080p at up to 60 frames per second. Combined with Canon’s innovative Intelligent IS, which automatically corrects any shaky footage, this camera delivers beautiful, stable and clear footage in any situation. The G7 X has a 3-inch flip screen with touch screen capabilities. Which allows you to easily adjust camera settings or focus by touch. The screen display is crisp and clear and features 1.04 million pixels. The flip screen is almost glare-free and works great, even in direct sunlight. 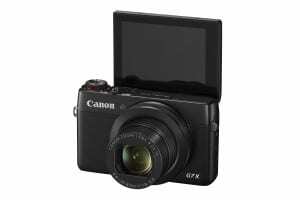 The Canon PowerShot G7 X is used by vloggers like Shaycarl, CutiePieMarzia, FunForLouis, RomanAtwood, Joey Graceffa and iJustine. The successor of the G7 X, the G7 X Mark II, has already been released. However, the difference is very small and isn’t worth the extra money for everyone. The Mark II has slightly better battery life and low light performance. If that’s important to you, go for the Canon PowerShot G7 X Mark II. Otherwise, use the difference for getting an extra battery or memory card. Unfortunately, the G7 X is not capable of recording 4K Ultra HD video. The Panasonic ZS100 is a great alternative that shoots in 4K but that camera does not have a flip screen. It depends on your personal preference which camera is better suited for your needs. The Panasonic G7 is our top recommendation if you are looking for a DSLR in this price range. Although it is heavier and bigger than the Canon G7 X. This DSLR allows you to change lenses, use an external microphone or use a tripod for stationary recording. The G7 features a 16 megapixel four thirds CMOS sensor with a wide ISO range (160 – 25600) that delivers excellent image quality in all lighting conditions. It is capable of recording video in 4K Ultra HD in a native 4k resolution at 30 frames per second. The screen is a 3-inch fully articulated 1,040k-dot LCD screen. This camera offers excellent battery life and provides intelligent auto focus so you don’t have to worry about blurry footage. Note: It is important that you use an SD card rated as UHS Speed Class 3 if you want to record in 4K Ultra HD resolution! If you want to create professional looking videos on YouTube on a serious budget. The cameras in this category will be best suited for your needs. These cameras are capable of recording in 4K Ultra HD which is quickly rising in popularity on YouTube. Most vloggers still record in 1080p. So by switching now you will have an advantage and be ahead of the curve. It is important to note that 4K video files are bigger and more demanding. You will need to add a high-speed SD card to your cart if you are buying one of these cameras. You will also need to make sure that your computer is fast enough to edit 4K video files and you have the storage capacity for 4K video files. The holy grail of portable vlogging cameras. The Sony DSC-RX100M IV shoots in crystal clear 4K resolution and can shoot up to 960 fps for very cool slow motion shots. This is the perfect vlogging camera for anyone who wants to create professional vlogs and maybe include some cool cinematography shots in their videos as well. This camera has incredible low light performance, especially for a compact camera. So any night-time footage you record will look very sharp without noise. The camera also has a high-resolution flip screen so you check if you’re in frame while recording. The autofocus is VERY fast with almost no lag at all so you will never have to wait for the camera to focus while vlogging. 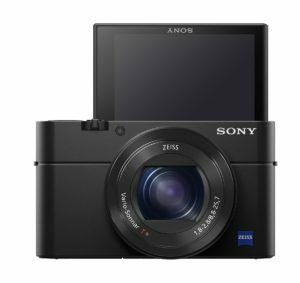 Sony has already released the next generation of the RX100 called the mark V (five). The differences between these two cameras are extremely small but the price isn’t. That’s why we recommend buying the RX100 IV over the RX100 V and saving yourself some money. You can use the money you save to buy an extra battery or memory card. Our second vlogging camera recommendation is the Panasonic G85. 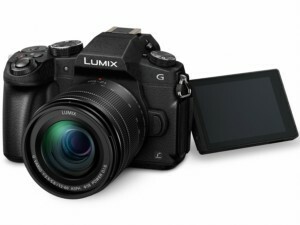 The G85 is a micro four thirds mirrorless camera. That is why it’s less bulky than regular DSLR cameras which is ideal for recording vlogs. The Panasonic G85 features a 16-megapixel MFT CMOS sensor with a wide ISO range (100-25600) and sensor-shift image stabilization. This class leading 5-axis body stabilization paired with a LUMIX 2-axis optically stabilized lens will offer the best ‘dual’ image stabilization effect. The camera is capable of recording in 4K Ultra HD at 24 or 30 frames per second at 100 Mbps and Full HD 1080p at 60 frames per second at 28 Mbps. The camera body is weather sealed, splash proof and dust proof. It also has a 3-inch fully articulated screen, 3.5mm port for external microphones and the ability to use a battery grip to extend the battery life while recording. These ultimate vlogging cameras are the best cameras you can possible buy and use as a consumer. These vlogging cameras are a bit bulkier and heavier but provide better image and sound quality with more settings. One of the best vlogging cameras you can buy at the moment is the Panasonic GH5. This camera was only released in January 2017 but a lot of YouTubers immediately switched over. 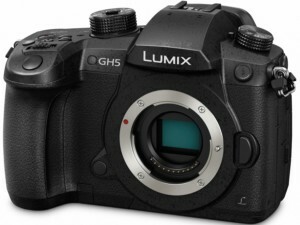 Tech YouTubers, vloggers and filmmakers have been using the GH5 and have all been huge fans of Panasonic’s newest model. The GH5 features a 20 megapixel four thirds CMOS sensor with a wide ISO range (200 – 25600, expands to 100) with no low pass (anti-aliasing) filter. The GH5 is capable of recording 4K video at 4k60/50P (4:2:0 8bit) and 4k30/25P/24P (4:2:2 10bit). So you’ll have the flexibility to choose your own video frame rate with a maximum of 60 frames per second. You can also shoot high-speed video in up to 180 frames per second without cropping the image. 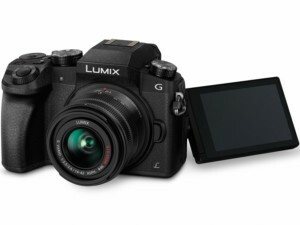 The camera body has 5-axis image stabilization and combined with LUMIX 2-axis optically stabilized lenses this will provide a ‘dual’ image stabilization setup to remove any unwanted movement from your video content. The body is made of durable magnesium alloy and is weather sealed (splash, dust and freeze proof). The screen is a swiveling 1620k-dot 3.2-inch LCD screen with touch control. Other features of the camera are 5Ghz Wi-Fi + Bluetooth 4.2, hot shoe + audio X2R adapter port, microphone port, headphone port, full size live HDMI, USB-C 3.0 port and dual SD card slots. 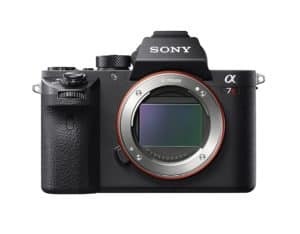 Our second camera recommendation for this price range is the Sony a7R II. The a7R II features world’s first full-frame back-illuminated Exmor R 42.4 megapixel CMOS sensor and 5-axis in-body image stabilization. This camera is capable of recording 4K Ultra HD video in 30/24p in XAVC S format (100/60Mpbs respectively) with full pixel readout and no pixel binning. It can also record in Full HD 1080p resolution at 60, 30 or 24 frames per second in XAVC S format (50Mbps). The resolution combined with the cameras fast hybrid autofocus with 399 phase detection AF points and 5-axis image stabilization will take your videos to a new level. The body is weather sealed and made of a rigid magnesium alloy designed to withstand some serious abuse. The 3-inch LCD screen tilts up and down for high and low-angle framing but can unfortunately not flip 180 degrees for vlogging. Footage can easily be transferred using the built-in WiFi. If you vlog a lot while traveling, jumping in pools, swimming in the ocean, doing extreme sports and want to put your viewers in first person point of view. An action camera will be best suited for you. Action cameras are durable and waterproof which means you can use them in more demanding situations. Due to the waterproof design of these cameras the sound of your video recordings will sound more ‘distant’ than a regular camera. You can always use one of our recommended vlogging microphones for better audio quality. 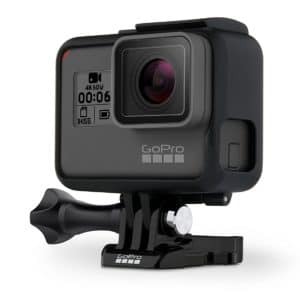 GoPro recently released the GoPro HERO6 Black. The Hero 6 is the most powerful GoPro released to date and is capable of recording 4K Ultra HD video at up to 60 frames per second. Most of the improvements made to the new Hero 6 are centered around image quality of the camera. The Hero 6 also features GoPro’s most advanced image stabilization yet and a all-new GP1 chip for better image quality. The camera’s performance has been significantly improved (especially in low-light). If you want to record slow-motion video you can record up to 120 frames per second in 2.7K resolution or up to 240 frames per second in Full HD 1080p. The hero 6 still has all the features that made the Hero 5 great such as: waterproof up to 33ft (10m) without a case, voice commands and 2 screens. One on the front for displaying important information and a 2-inch screen on the back for framing and reviewing shots. 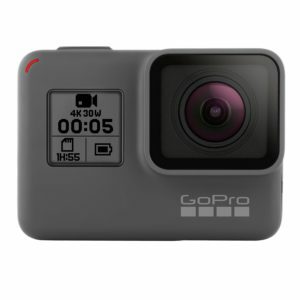 The GoPro Hero 5 Black was the predecessor to the Hero 6. The Hero 5 is also capable of recording in 4K Ultra HD but can ‘only’ do so at up to 30 frames per second. You can also record slow motion video in Full HD at up to 120 frames per second. Video is automatically stabilized using advanced video stabilization and the sound quality is good too. The rugged and durable design of the Hero5 means the camera is waterproof to 33 feet without a case. It’s also very easy to use. You can control the camera with simple voice commands or using the single physical button to power the camera on and start recording. The camera features two screens. One small screen on the front to show important information like battery life and recording information like duration and resolution. Located on the back of the camera is a 2-inch touch display to view footage, change settings or trim footage. And that concludes our guide to finding the perfect vlogging camera for your budget and needs. We hope you have found the perfect vlogging camera for you! We HIGHLY recommend you also add an SD card to your shopping cart (since most cameras ship without one) when making the purchase. Also consider adding an extra battery depending on which vlogging camera you pick and if you have access to a charger during the day. Hopefully you’ve enjoyed our guide and found the perfect vlogging camera that fits your need and budget! Feel like we missed any cameras int his guide? Please let us know! Think this guide will be helpful to someone you know? Feel free to forward this page to them! Found the perfect vlogging camera and now looking for other equipment to help you produce high quality vlogs? Check out some of our other buying guides! If you want to know what camera popular YouTubers use to record their vlogs you can also check out: What Camera do Famous YouTubers Use?